Steve and Angela have been married since 1991. Their family consists of three beautiful children ages 8, 10, and 14. Currently, their family lives in Costa Rica. Steve was brought up in an Assembly of God church and served in several leadership positions while there. He later became a Youth Pastor at a non-denominational church where he served for 5 years. One of his passions was youth evangelism as well as being the praise and worship leader at a local assembly. All of this eventually led Steve to a pastoring position at a small church. After his tenure at being a pastor, Steve returned to youth evangelism and started a christian traveling comedy team. 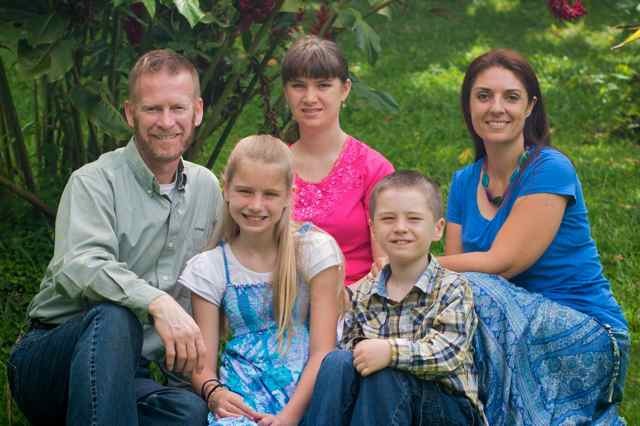 It was during this time that Steve and his family started attending a large Baptist church. While attending this church, Steve served in various positions, from Children’s Church Director to interim Youth Pastor. He later became director of both live and post video production. It was at this time that Steve came to the understanding that the Torah is still for all believers. From there, Steve teamed up with a friend and started 119 Ministries. Now that Steve has left 119 Ministries, he and his family are excited to be in a new chapter in their life by serving YHWH through TorahFamily.org.